You don’t want to be that guy. The one who goes off-trail, trampling vegetation. The one who’s feeding the wild animals or trying to take a selfie with them. The one who hops out to the edge of the canyon rim for that epic selfie. The one who’s oblivious to the fact that he’s ruining other people’s photos with his antics or the litter he’s dropping. That’s where some ethical guidelines and a little common sense can help. There are plenty of laws, rules, regulations and guidelines that were created to keep us safe and to ensure everyone has a good experience out in nature. Yet people routinely ignore them. Here are four reasons why you shouldn’t. In spite of many “no swimming” signs along the Potomac River near Washington, DC, it seems that every year someone ignores them and drowns. In the spring of 2018, someone fell to their death at Horseshoe Bend, and another at Palouse Falls. In 2016, a tourist went off the boardwalk at Yellowstone, fell into a hot spring and died. The next year, a tourist was badly burned after going off-trail and slipping into a hot spring. Also at Yellowstone, people have been tossed in the air and gored while taking selfies too close to buffalo. 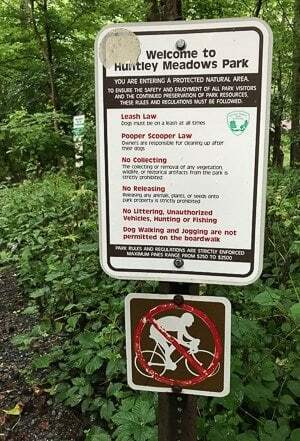 Park rules require visitors to stay at least 25 yards away from wildlife for a reason. 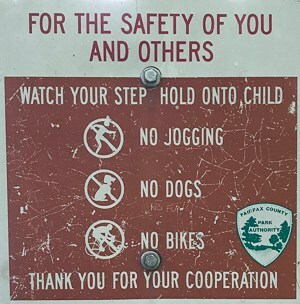 Walking off trail, particularly where it’s prohibited, can damage plant life, contribute to erosion, and change the look of the land. In the southwest, for example, you can often find cryptobiotic soil, which forms a sort of crust on top of the ground. It plays a crucial ecological role, grows very slowly, and is susceptible to damage if disturbed. In parks like Arches, Canyonlands, and Joshua Tree, signs prohibit walking off-trail to protect fragile cryptobiotic soil yet, on any given day, you’ll see people tramping off into the desert and destroying these crusts that took thousands of years to form. In other popular places, vegetation has been trampled and constant foot traffic creates pools of mud or areas of packed, bare earth. 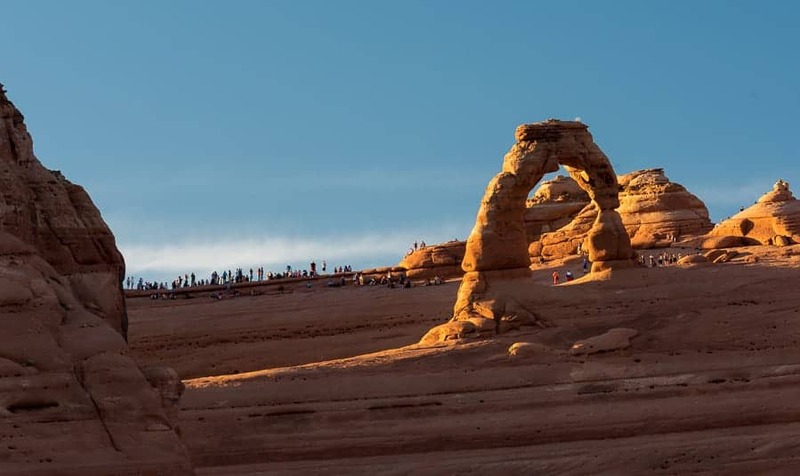 Each evening, dozens of photographers line the bowl around Delicate Arch in Utah, waiting for the sunset to light up the arch. A lot of tourists go down to the arch, stand under it, do selfies, and that’s OK . . . until sunset. You don’t want to be the person photobombing everyone’s golden light shot. You will get yelled at! People line the rim around Delicate Arch as sunset nears. Don’t be the jerk with the million-candle-power light that wrecks everyone’s star shots. Don’t be the clown flying a drone in a prohibited area. Don’t leave your trash. And, please, don’t be the @#$%&**@ who goes around blithely unaware of others and sets up his tripod right in the middle of someone’s carefully composed shot. Here’s how not to be an idiot. Do unto other shutterbugs as you would have them do unto you. Realize that you’re probably not going to be the only person at a location. Share and be respectful of others. Photographers are generally a friendly, good natured breed. Set a good example. Before you set up your shot, look around and make sure you’re not blocking someone else’s shot, especially someone who was there before you. If someone’ already there, ask about sharing the space, when and where you won’t interfere with their shot. And if you’re there first, invite the next photographer to join you. Don’t be a jerk. If you’re in a popular and accessible spot, realize you’re going to be sharing it with non-photographers, too. They won’t be aware of your composition, won’t be thinking of photographers. When they get in the way, cut them some slack and ask them nicely to move. The Leave No Trace Seven Principles were developed by the Leave No Trace Center for Outdoor Ethics, © 1999 by the Leave No Trace Center for Outdoor Ethics: www.LNT.org. (Yes, that's how they want it credited. We're being ethical here, after all.) 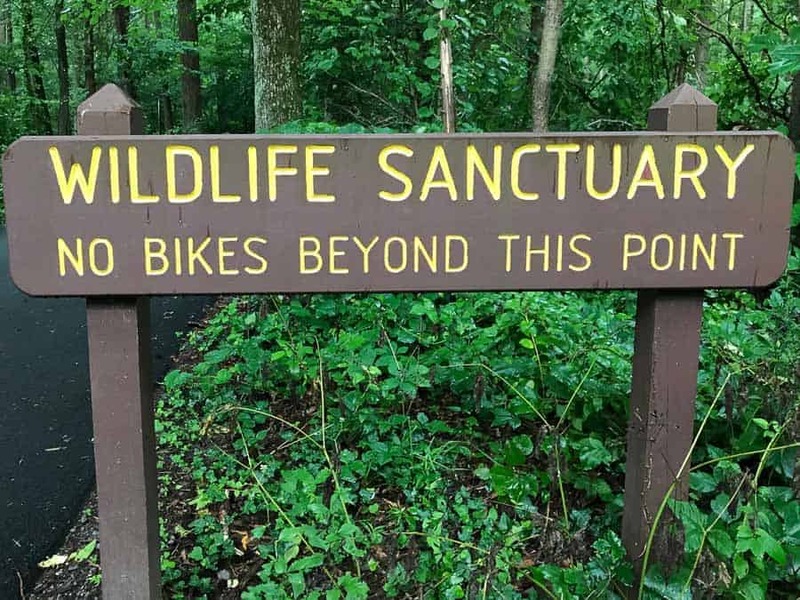 They’ve been widely adopted by outdoors organizations and many parks and are both simple and profound. As photographers, we plan ahead to get the best light and vistas. We can also plan ahead to have the least impact on the land and wildlife. 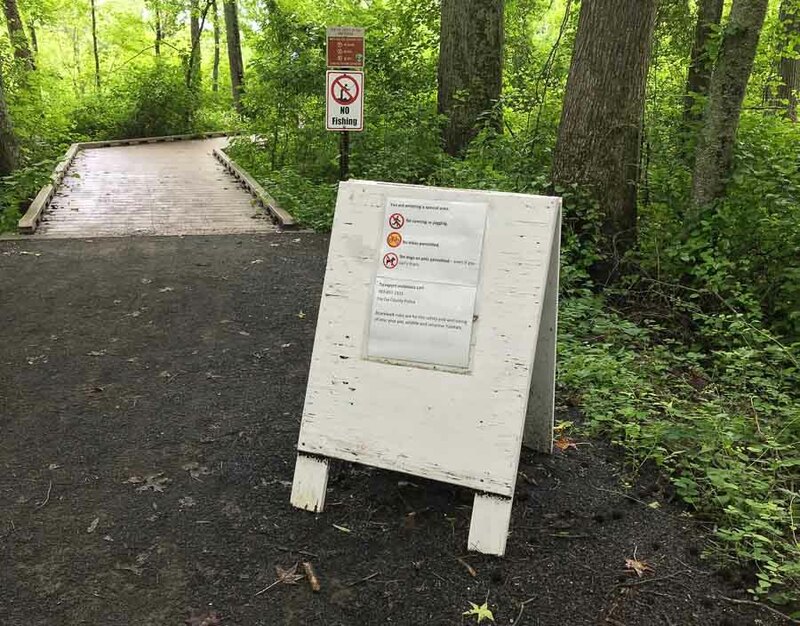 We can stay on marked trails, use waste receptacles or pack out any trash, leave our scenic areas as we found them, avoid impacting wildlife and play nice with others. It’s not asking a lot. Two organizations I respect have produced guidelines for ethical photography practices. NANPA, the North American Nature Photography Association (I am a member and co-leader of their DC area Meetup group) developed a series of principles covering three main areas: environmental, social, and individual. You can find them at https://www.nanpa.org/wp-content/uploads/Ethical-Field-Practices-Revised-3-2018.pdf. Before every Meetup photo shoot, we’ll go over the applicable practices to make sure everyone’s informed and will act accordingly. An educated photographer is the best role model. NANPA’s principles are succinct and reproduced verbatim, below. Learn patterns of animal behavior. So as not to interfere with animal life cycles. Do not distress wildlife or their habitat. Respect the routine needs of animals. Use appropriate lenses to photograph wild animals. If an animal shows stress, move back and use a longer lens. Acquaint yourself with the fragility of the ecosystem. Stay on trails that are intended to lessen impact. Do not participate in or endorse the use of a live mammal as bait for photographic purposes. Use of a live mammal as bait is unethical and can cause harm to predatory birds and animals. Research your subject beforehand and avoid risking harm to capture an image. For example, current research shows that baiting owls causes harmful habituation and should be avoided. When appropriate, inform managers or other authorities of your presence and purpose. Help minimize cumulative impacts and maintain safety. Learn the rules and laws of the location. If minimum distances exist for approaching wildlife, follow them. In the absence of management authority, use good judgment. 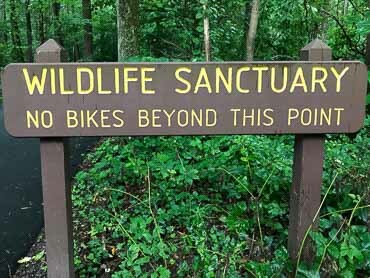 Treat the wildlife, plants and places as if you were their guest. Prepare yourself and your equipment for unexpected events. Avoid exposing yourself and others to preventable mishaps. Ask before joining others already shooting in an area. Tactfully inform others if you observe them in engaging in inappropriate or harmful behavior. Many people unknowingly endanger themselves and animals. Report inappropriate behavior to proper authorities. Don’t argue with those who don’t care; report them. Be a good role model, both as a photographer and a citizen. Follow the rules and guidelines when near animals. Keep your distance from any wildlife and use telephoto lenses. Study the animal’s behavior so you can recognize when you are stressing it. Don’t purposely frighten animals in order to make them fly or run. Avoid using flash—it startles animals. Don’t impact the animal’s habitat. Think about the impact of more people before sharing locations of nests, dens and other areas critical to the animal. 2) Nesting birds are particularly vulnerable and need special consideration. Keep your distance from nests and dens. Pull out that telephoto—this is what it’s for. Don’t use drones around animals. Don’t draw attention to a nest—you might draw predators, too. Avoid moving or removing things around a nest or den. That branch you remove to get a clearer shot might have been cover for the den. 3) Luring animals closer for photography is often possible but should be done in a responsible way. Don’t use bait to attract animals. Baiting can change an animal’s behavior. Use artificial bird and animal calls sparingly. 4) Show respect for private property and consideration for other people. Don’t trespass on private property and follow the rules and regulations. When in groups of other photographers, hikers or animal observers, be considerate of others and be aware that large groups can often startle or stress wildlife. Keep these sets of principles in your head or in your pocket and share them with your photography friends. It’s always been easy to be “that guy.” You have to put a tiny bit more thought into being his opposite, the ethical photographer, but wouldn’t you rather be the good guy, the role model? What are your guiding ethical principles for nature photography?